The South China Sea has long been regarded as a major source of tension and instability in East Asia. Managing the risk of possible conflict over disputed claims in the South China Sea has been a significant challenge for regional relations. This book explores international politics and security in the South China Sea. It outlines the history of the South China Sea disputes, and the efforts that have been made to resolve these, assessing the broader strategic significance of the region for major geopolitical powers. In addition, new challenges have emerged of resource management, environmental protection, and most recently, of the security and safety of shipping against the threats of piracy and maritime terrorism. 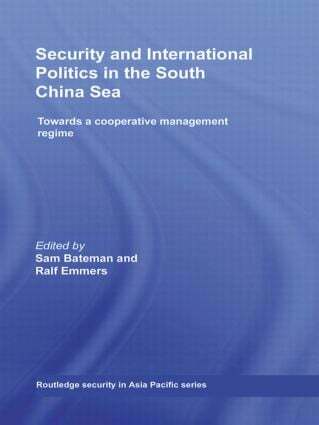 The book discusses the convergence of traditional and non-traditional security issues now appearing to provide a basis for co-operation in the South China Sea. It shows how the challenge of establishing co-operative relations is now being met, largely through agreement between the Association of Southeast Asian Nations (ASEAN) and China in 2002 on the Declaration on the Conduct of Parties in the South China Sea, and a range of recent measures for functional co-operation.